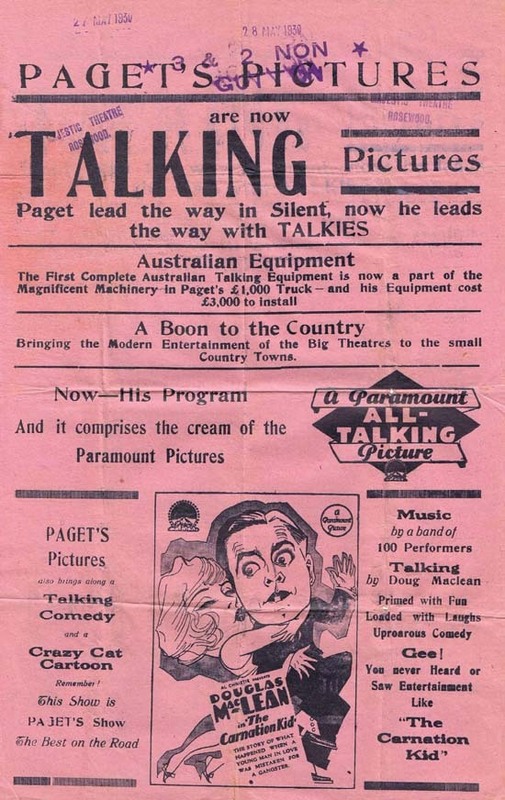 Paget’s Talkies was established in 1908 taking Silent Films on tour to remote country towns in Queensland. 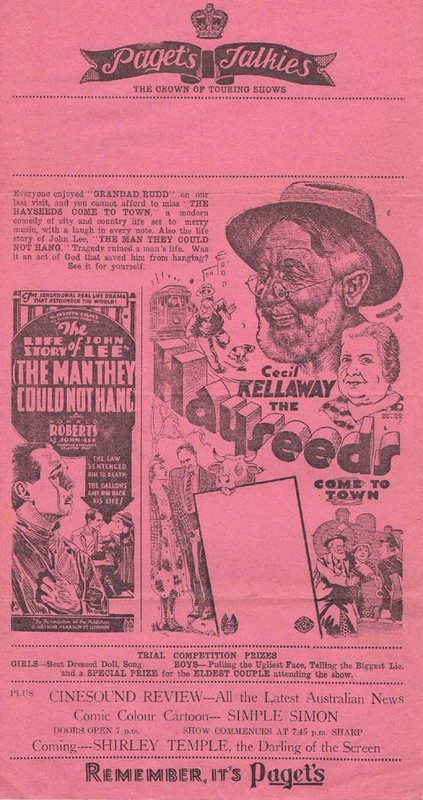 Very little is known about this chapter in Australian Film history but the brochures, flyers and advertising material that I have acquired tend to indicate that they toured primarily around Queensland. Towns like Blackbutt, Pialba and Nanango are mentioned in the advertising. 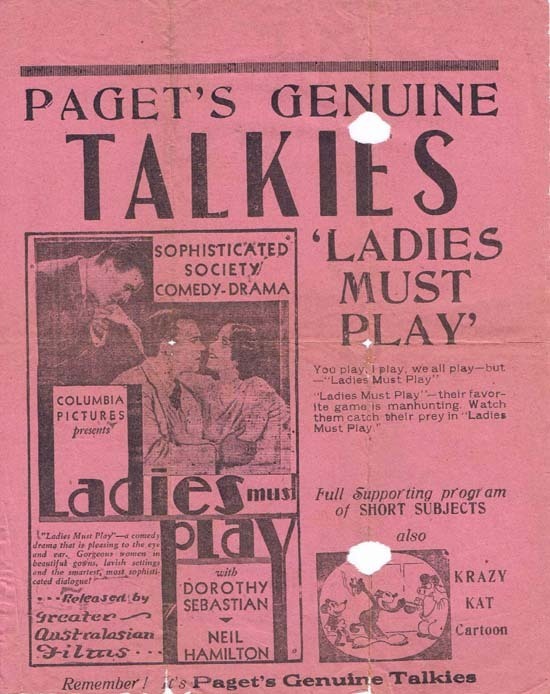 Paget’s adapted to the introduction of sound and purchased equipment that was able to bring Talkies to the remote country towns. 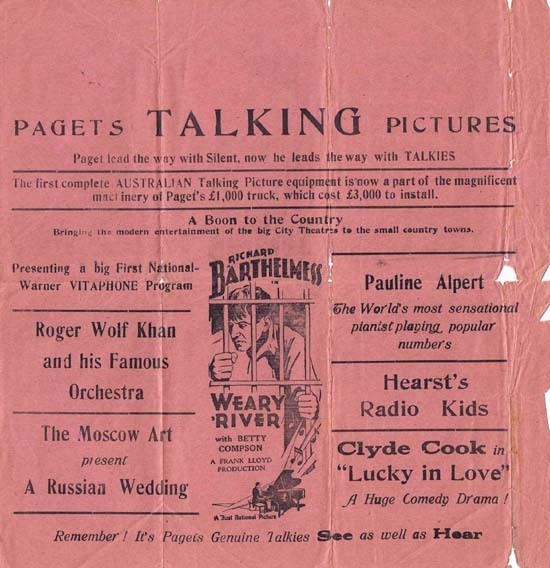 The familiar headlines of “See and Hear Paget’s Talkies” featured proudly on many of the brochures of the early 30’s. 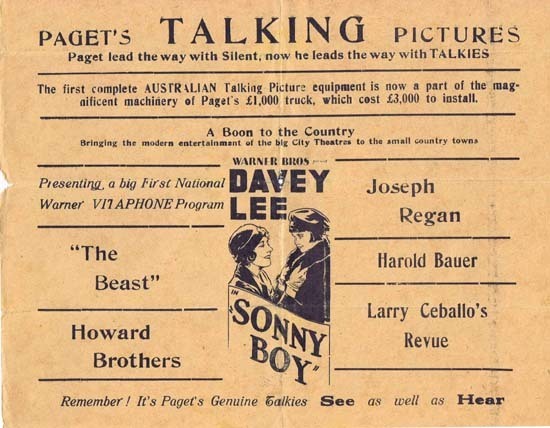 Mr Paget screened double features with shorts, cartoons and newsreels often boasting that the films he was showing were screened at the same time as The Regent in Brisbane. Many of the films that were screened were blockbuster American movies along with Australian made films of the era.